The Shanghai FCC is pleased to welcome Pulitzer Prize-winning writer Ian Johnson for a discussion of his new book The Souls of China: The Return of Religion after Mao. The Souls of China tells the story of one of the world’s great spiritual revivals. Following a century of violent anti-religious campaigns, China is now filled with new temples, churches and mosques – as well as cults, sects and politicians trying to harness religion for their own ends. Driving this explosion of faith is uncertainty – over what it means to be Chinese, and how to live an ethical life in a country that discarded traditional morality a century ago and is still searching for new guideposts. A Q&A will follow his presentation. Ian Johnson is a Pulitzer-Prize winning writer who first came to Beijing as a student in 1984. Over the next 30 years he spent at least half his time in China, including a period working as a correspondent for Baltimore’s The Sun and later with The Wall Street Journal, where he covered macro economics, China’s WTO accession and social issues. Currently he writes features and essays for The New York Times, The New York Review of Books, The New Yorker, National Geographic, and other publications, and also teaches undergraduates at The Beijing Center for Chinese Studies, where he also runs a fellowship program. He also advises a variety of academic journals and think tanks on China. He was twice nominated for the Pulitzer Prize and won in 2001 for his coverage of China. Johnson has published three books, and his newest is The Souls of China: The Return of Religion After Mao, which describes China’s religious revival and the country’s search for values. 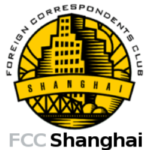 Price: 80RMB SFCC members; 180RMB non-members. Price includes one drink and snacks.